British Columbia’s aptly named Sunshine Coast beckons hikers and outdoor adventurers with its expanse of peaks and fjords. Spend a night or two in its Coast Mountains and you may be rewarded with some of the most stunning sunrises and sunsets around. The Lower Sunshine Coast lies just a ferry ride away from West Vancouver, as the Upper Sunshine Coast does from Comox. Another BC Ferries route links the two coasts, whose urban centres are Sechelt and Powell River, respectively. 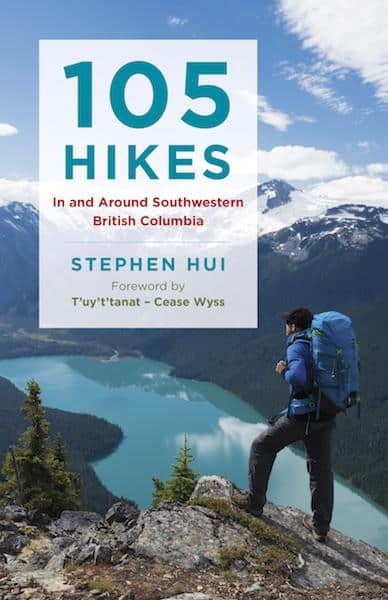 My new guidebook, 105 Hikes in and around Southwestern British Columbia, features select trails in the Sunshine Coast and 20 other regions, including northern Washington. 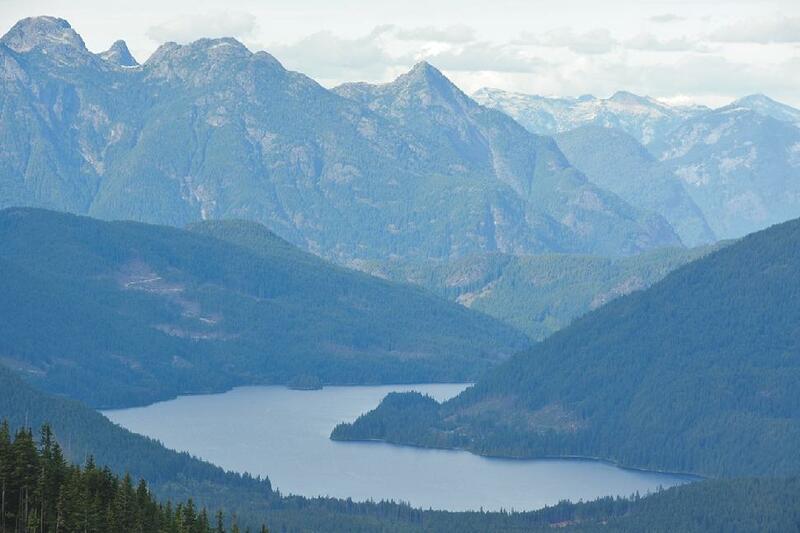 Here are five of the best hikes on the Sunshine Coast. 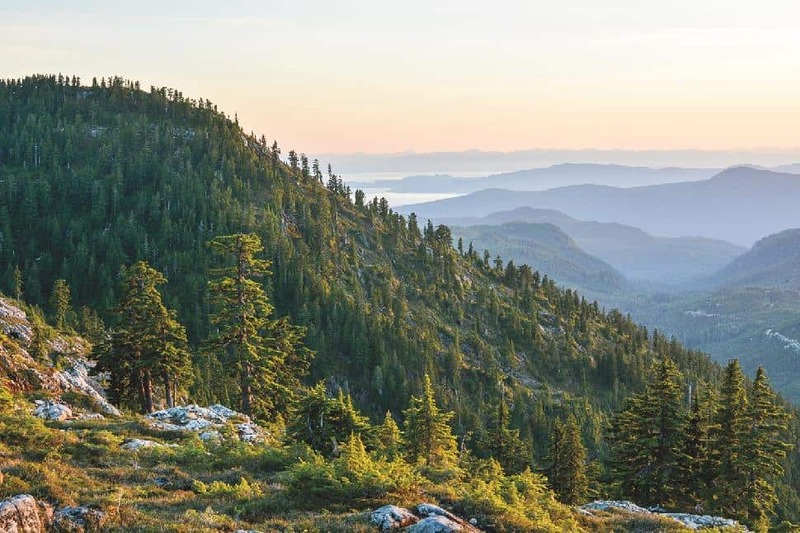 Jolted into action by the disappearing old-growth forests of the Upper Sunshine Coast, Eagle Walz and his merry band of outdoor enthusiasts began building the Sunshine Coast Trail in 1992 and formed the Powell River Parks and Wilderness Society in 1993. Completed circa 2000, the SCT extends from Sarah Point on Desolation Sound to Saltery Bay on Jervis Inlet, within Tla’amin Nation territory. An end-to-end journey of 10-plus days, the epic footpath covers 178 km and boasts 13 huts. Tetrahedron Provincial Park lies within the territories of the shíshálhand Squamish First Nations. 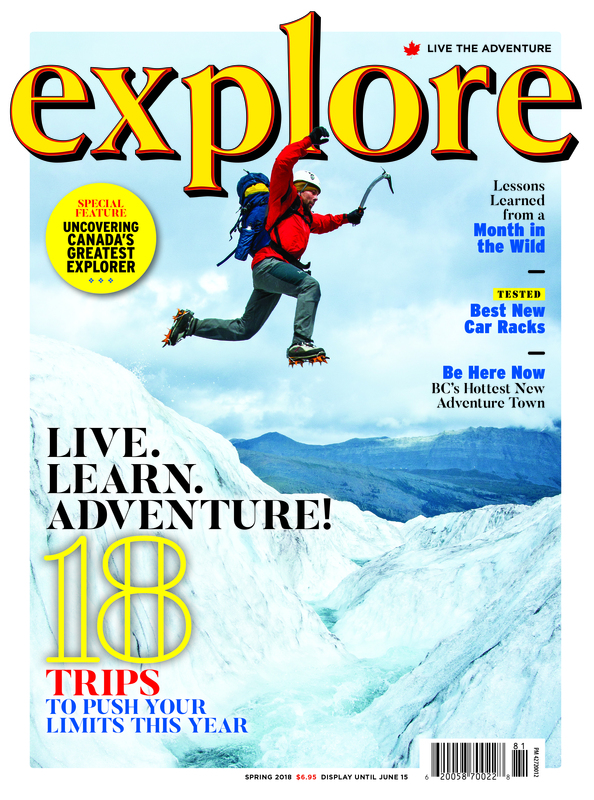 Mount Steele is the main draw for hikers, snowshoers, and ski tourers. Overlooking Pender Harbour, Mount Daniel rises in the heart of shíshálh territory. Located in Garden Bay Marine Provincial Park, the trail zigzags south, making a steady ascent in a mixed forest with arbutus trees and a ferny understory. Old-growth western redcedar and Douglas-fir trees are the giants of BC’s coastal western hemlock biogeoclimatic zone. 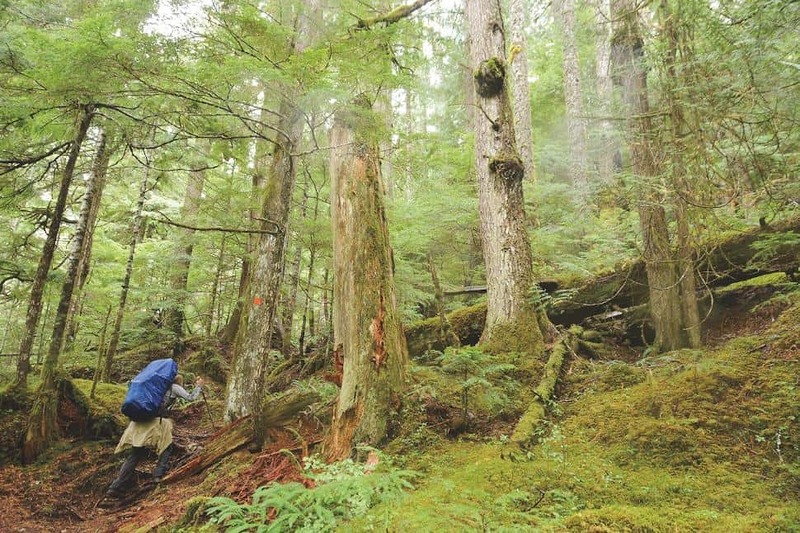 Their ancient groves are the raison d’être of the Sunshine Coast Trail. You’ll understand why on the hike to secluded Confederation Lake, near Powell River, in Tla’amin territory. To day-hike the final leg of the Sunshine Coast Trail, set out from the Saltery Bay trailhead on the scenic Fairview Bay Trail in Tla’amin territory. Follow the SCT distance markers and signs east, passing Pirates Cove and Ahlstrom Point. Feel the peeling reddish-brown bark and greenish under-bark of the arbutus, a broadleaf evergreen tree found within 8 km of the ocean on the South Coast. Lovely Fairview Bay boasts the southernmost and only seaside overnight shelter on the SCT. 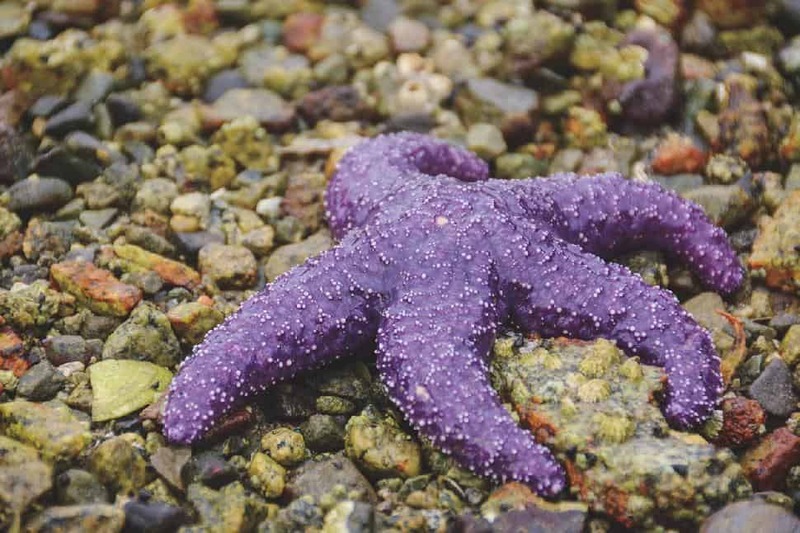 The rocky beach outside is littered with oyster shells, purple sea stars, and rusty chains. 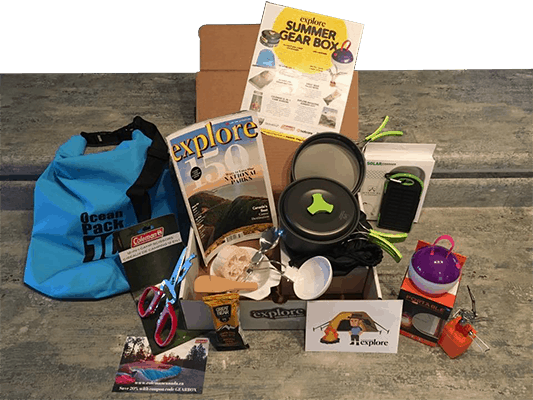 When hitting the trails, remember to check conditions, pack the 10 essentials, leave a trip plan with a responsible person, and practice Leave No Trace principles. 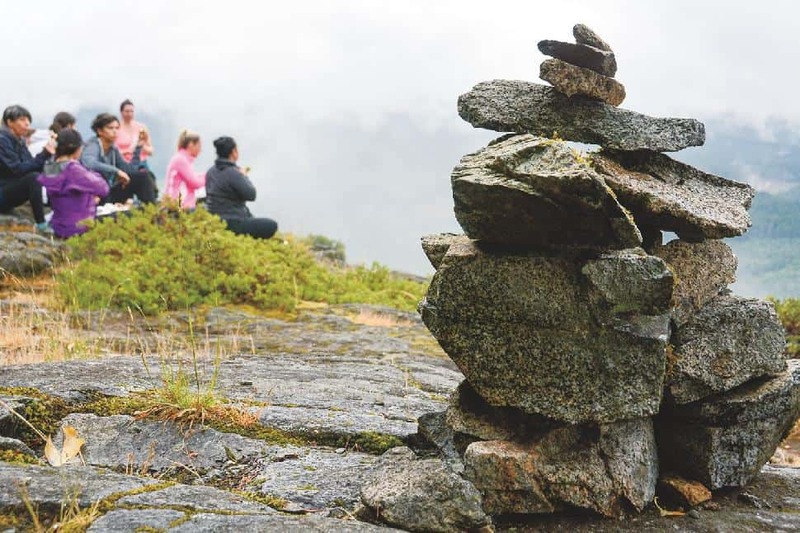 Canada’s longest hut-to-hut hiking trail—oh, and it's free.